This a movie review of PRINCESS MONONOKE. This is the film that got me into Hayao Miyazaki and Studio Ghibli. 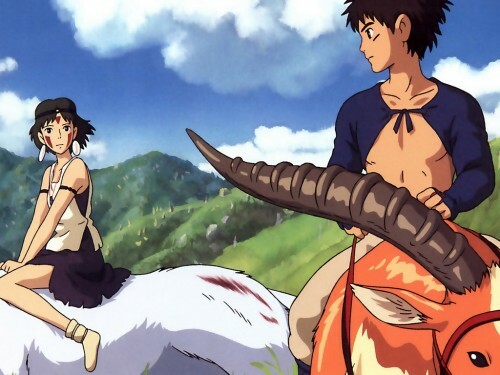 PRINCESS MONONOKE is powerful, surreal and imaginative. That coupled with an allegorical environmental message – a decade ahead of its time, compare George Miller’s overt Oscar-winning penguin tale HAPPY FEET. 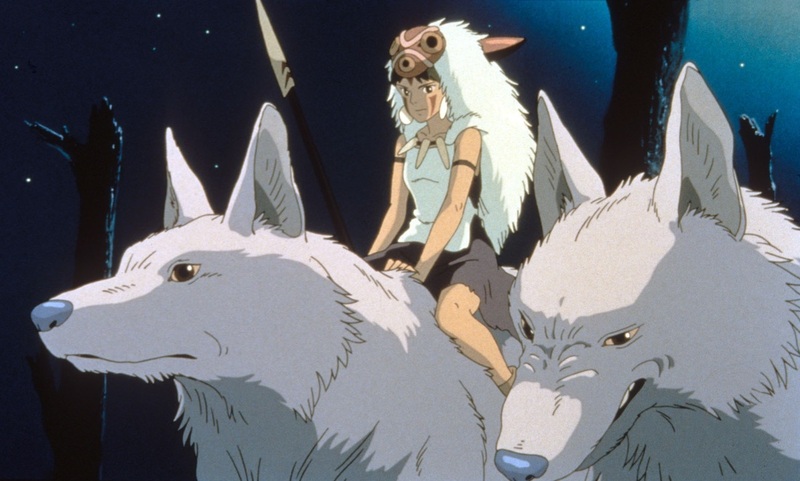 Most cartoons wear their titles with clear reference to their subject, however PRINCESS MONONOKE is more intriguing, as it follows the travails of Prince Ashitaka (Billy Crudup – ALMOST FAMOUS, BIG FISH and THE GOOD SHEPHERD) for the majority of the film. 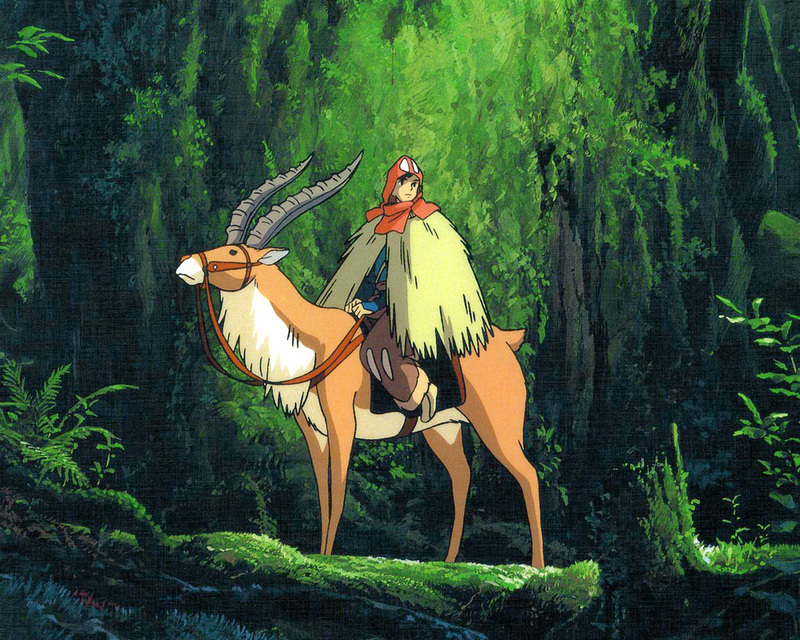 Written and directed by Miyazaki and released in 1997, the movie opens on a mountainous forest range with swirling mist and a narrator revealing this to be an ancient time when humans and beasts lived in harmony, but then the forests started to be cut down; the gods lived there and protected the forests. Clearly referring to Japan’s and the world’s industrialisation and devastation to the environment, nature in this story fights back. There is something wrong outside the village where the Amishi people reside, a people on its last legs thanks to the emperor wiping much of them out. Prince Ashitaka riding his trusty red elk, Yakul, warns the villagers to get back to their homes. Tension is ably built as something ominous approaches rapidly. A creature – a demon - bursts through the stone wall on the outer edge of the community. He is scary and unpredictable due to his strength, speed and original design – a huge boar that is covered with a skin of living worms (which seem linked yet independent) that kill everything it touches. It is an exciting action sequence. Brave Ashitaka saves the village by killing the demon but is injured. He is touched and cursed, doomed to an eventual painful death. As the creature dies it warns that humans will feel his hate and suffer as he has suffered. The lady shaman of the village reads her stones which reveal that the creature was a Boar God King with a poisonous ball of iron inside his body driving him to madness. The hate consumed him turning him into a demon. The Boar God King came from the west of the country. Ashitaka, the last prince of the Amishi tribe, must leave amid much sadness. If he finds the Forest Spirit in the west his mortal injury may be cured. 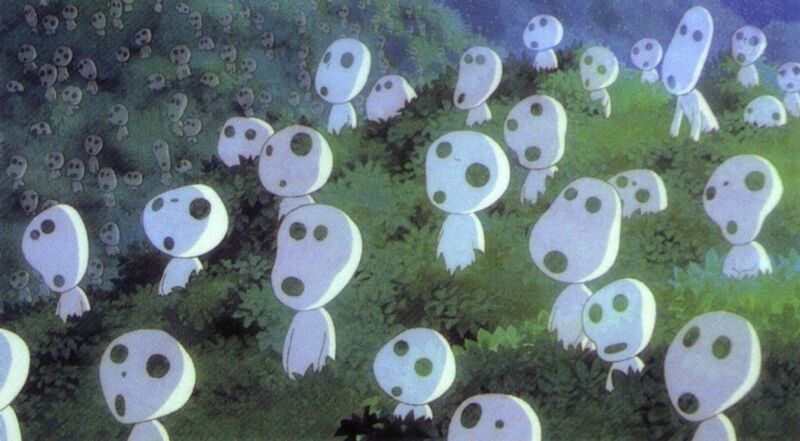 The Prince is not the only one who wants to find the Forest Spirit. A monk, Jigo (Billy Bob Thornton – BAD SANTA, ARMAGEDDON and THE MAN WHO WASN'T THERE), is seeking to cut off its head to give to the emperor for a pardon, as the emperor believes he will be made immortal. Lady Eboshi (Minnie Driver – GROSSE POINTE BLANK, OWNING MAHOWNYand GOOD WILL HUNTING), leader of Iron Town, is constantly being harangued by the animals of the forest due to her harming the area with her iron works, and she believes the death of the Forest Spirit will free Iron Town to be even more prosperous. Thrown into the mix are Lord Asano and his samurai who ambush villages, killing and stealing, now wanting Iron Town for himself. Then there is Princess Mononoke herself, attempting to protect the forest with the Wolf Goddess Moro (Gillian Anderson – THE X-FILES, THE HOUSE OF MIRTH and THE LAST KING OF SCOTLAND). 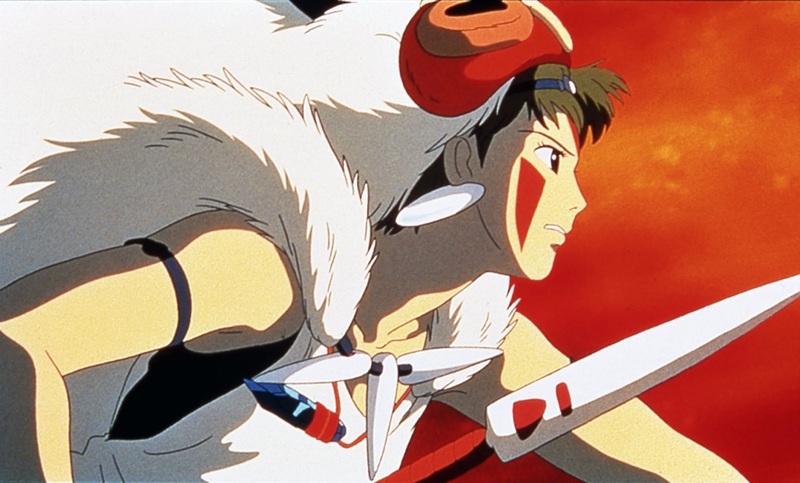 PRINCESS MONONOKE is a heady mix of characters and ideas, portrayed with stunning detail and verve - there are images of walking on water, unspoilt countryside, ferocious battles and animals arguing their cause. At 128 minutes this is longer than most family films, though packed with more in its running time than most cartoons. There are themes of harmony, compassion, hate, fear, greed, the cycle of life and hope. There is no simple moralising, for example, Lady Eboshi rescues women from brothels – she is not a simple one-dimensional baddie. Continuing from his earlier NAUSICAA OF THE VALLEY OF THE WIND, Miyazaki has fashioned a dream-like wake up call, one of the best animations ever made.